The Apple MacBook range has long since established itself as the perfect mix of style and power. With MacBook prices starting at $999, Apples laptops aren’t the cheapest, but they’re an investment that can last you for many happy years. But, which MacBook is best for you? Despite there only being three model lines in the MacBook range (with their own sub-variants), picking the right model for your needs isn’t always obvious. Do you go for power? Portability? Or both? We look at the Apple MacBook lineup and help you pick out the best Mac for your own needs and budget. Which MacBook is the Best for You? The three lineups in the MacBook range available today are the MacBook, MacBook Air and MacBook Pro. Each has its strengths, but rest assured that not one is a dud. MacBook Pro (no TouchBar, 13-inch) – Best Mix of Power and Value: The Pro lineup is the premium offering from Apple. It’s pitched at those who need to really push their laptop with high-end work such as design or video-editing. It’s the model of choice for trendy graphic designers. And why not? There’s plenty of power under the hood, plus a gorgeous screen. 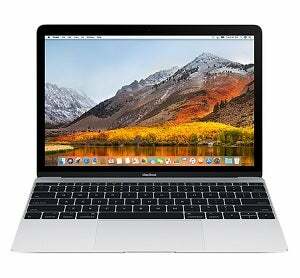 MacBook Air (13-inch) – Best Cheap MacBook: The cheapest MacBook by $100 dollars, the MacBook Air has just received an update, and there’s never been a better time to pick one up. With an 8th generation processor, its a better value prospect than the 12-inch MacBook. It might not have the raw power of the Pro, but for the average user it’s a fantastic choice. 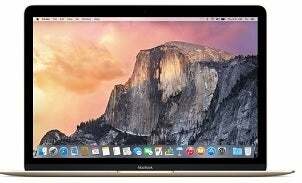 MacBook (12-inch) – Best for Portability: Re-introduced to Apple’s line-up in 2015 after a long absence, ‘the MacBook’ beats even the famously light MacBook Air when it comes to portability, being lighter, smaller. This one is perfect for writing and browsing (or showing off down the coffee shop), but it’s not powerful enough for design work. MacBook Pro (15-inch, TouchBar) – Best for Designers: You’re spending serious money at this point, in excess of $2,000. You won’t be disappointed by the return on your investment. The top-end MacBook Pro has a fantastic processor and outstanding screen, making it perfect for graphic design work. The TouchBar is a nice touch, too, with its simple functions lending themselves well to design programs. Apple has built a solid reputation for its excellent hardware, and there’s a reason why its customers are so evangelical about the brand. Any one of the laptops above would do you proud for day-to-day computing. If you need to step up to harder-going graphics tasks, think Pro. For value, not something normally associated with Apple, go Air. The MacBook Pro with TouchBar is Apple’s flagship laptop, with specs and price that reflect its status. That’s right, it’s not cheap. The entry level 13-inch model comes in at $1,799, and goes up to $2,799 for the top end 15-inch version. For the money, you get a lot of laptop. Even at entry-level, that means a powerful quad-core, Intel Core i5 processor – you can trade up to an i7 chip if you prefer – plus a dedicated graphics card with the 15-inch models. Then there’s TouchBar, of course. This is Apple’s attempt to reinvent the way we control our laptops. While it’s not a game-changer like the humble mouse was, it’s a nice addition. Not essential, but novel. The TouchBar’s use depends on what you’re doing on the MacBook at the time, and varies from scrolling through pages, scrubbing through video and images to presenting context-dependent buttons. It’s versatile, but it’s main use case is for image and video editing, so could be handy for a designer. Verdict – The best MacBook Apple has to offer, and incredibly powerful. But, the TouchBar isn’t essential, so you could save by getting a MacBook Pro without one. 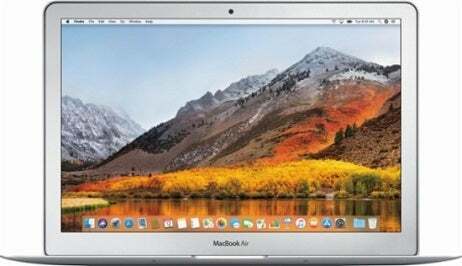 The MacBook Air had been slightly neglected compared to Apple’s other offerings lagging behind the 12-inch MacBook, but a 2018 update to the Air model has brought it bang up to date. With an 8th generation i5 processor under the hood, it more than packs a punch now. It might not be able to take on the Pro, but the average user won’t have any complaints, and for day-to-day browsing, emailing, streaming and running programs, it’s a fantastic laptop. It’s also received an upgrade to its screen, with a super-sharp Retina display. With a 12-hour battery life, the Air will last you an entire day out of the office, and the 30-day standby time means you can be up and running at a moment’s notice, even if you haven’t plugged it in for weeks. It may not be as slim or light as the MacBook 12-inch, but it’s still impressively svelte, and will pack into your bag without taking up too much room or ruining your posture. Apple is still stocking its previous model of the Air for $999. With a 5th generation Intel i5 processor it may not be a powerhouse, but it’s worth consideration if you’re working to a budget. Verdict – The Air is Apple’s ‘budget’ offering, but don’t assume it’s under powered. In fact, its latest update makes it more powerful than the standard (and more expensive) 12-inch MacBook. For all but the most demanding of users, the Air is a fantastic all-rounder, available at a decent price. If you don’t think you need the TouchBar, then you can save yourself a few hundred dollars by picking up the MacBook Pro without it. What you’re left with a a very powerful laptop that ideal for editors and those with high demands from their hardware, with a seventh generation Intel processor and that stunning Retina screen. The MacBook Pro without TouchBar is only available on 13-inches. Starting at $1,299, the entry-level MacBook Pro is considerably more powerful than the 12-inch MacBook, but with the same price tag. That’s something to consider if speed is a bigger concern for you than absolute portability. Verdict – You can live without the TouchBar and save. This is a powerful laptop with a stunning screen that will easily impress. The MacBook is Apple’s smallest, slimmest laptop. If you’re wondering why anyone would pick up 13-inch MacBook Air instead, it’s because the 12-inch MacBook costs more and is actually less powerful than the Air model. The MacBook has always felt like it was designed to replace the Air, but with the Air newly updated, the 12-inch MacBook now occupies a slightly odd space. Choosing between the Macbook and Air isn’t immediately obvious, but our advice is to save some money and go for the Air instead. The MacBook has seventh generation Intel Core processors powering the range, versus the 8th-gen processor in the new Air. Is this a bad laptop? Not at all. It’s stunning, beautifully portable and if you pick one up, it’ll be sometime before you’re looking for a replacement. However, we think you’re better off with the only-slightly-larger 2018 MacBook Air, which will save you some money and give you more power, too. Verdict – The 12-inch MacBook is a great choice if you want the slimmest model possible. But the newer 2018-released MacBook Air is a smarter purchase, and only a little larger. You don’t need to buy a 15-inch MacBook Pro to get your hands on the Touch Bar. There is also a 13-inch model that packs in impressive specs as well as Apple’s fancy Touch Bar. Its specs are slightly more modest than the 15-inch model’s, with just an Intel Core i5 processor under the hood, rather than an i7. But most people won’t find it lacking for power. On paper, Touch Bar aside, there’s little to tell it apart from the standard 13-inch MacBook. Although, one key difference is that Apple has given it the newer, 8th generation Intel processor, while the standard 13-inch Pro model relies on the 7th gen. There are also more Thunderbolt ports (4, rather than 2). Verdict – This 13-inch model has the slight edge over the standard 13-inch model, but its key selling point really is the Touch Bar and little else. If you’re after the slimmest, most portable MacBook, your choice comes down to the 12-inch MacBook or 13-inch MacBook Air. And we’ll make this one easy – go for the new, 2018 MacBook Air. It has more power under the hood, costs less, and is only a little larger. The 12-inch MacBook (simply called ‘the MacBook’ by Apple) is the lighter and slimmest of the two, although the Air is no brick by any stretch. The older 11-inch Air model is no longer available, incidentally. 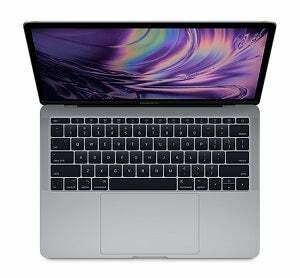 Both the MacBook and the MacBook Air are great choices for daily users who want to work, browse, catch up on social media and stream video or music. What they aren’t good at is heavy graphics work. Yes, you could get away with some image editing, but heavy duty video work or serious gaming is out. The recently announced MacBook Air has surpassed the more expensive 12-inch MacBook. Both the MacBook and Air boast excellent battery life means you could take either out for the day without running out of power. When it comes to specs, the MacBook Air has a faster processor. This has only been the case since Apple’s October 2018 event where it finally unveiled a newer, faster update to the Air. This has made the 12-inch MacBook now look somewhat redundant, in all but size. Verdict: Until recently, the MacBook was the obvious choice between the two, but with its update, the Air is now the clear entry point for those looking for a great Apple all-rounder. If you’re debating between the 12-inch MacBook and the MacBook Pro, then you’re serious about your laptops and have set aside a healthy budget. The decision needs to come down to portability vs power. The 12-inch MacBook range starts at $1299, going up to $1,599, while the Pro range starts at $1,299 and goes up to $2,799 for the premium 15-inch model. If you’re looking to do heavy graphic design, image-editing and video work, then don’t bother looking at the 12-inch MacBook. Go for the Pro. The specs are designed with this type of work in mind and it will handle your asks with ease. That’s why we’ve picked out the MacBook Pro as one of the Best Laptops for Designers in 2019. For graphic design, image-editing and video work, then don’t bother looking at the 12-inch MacBook. Go for the Pro. If that’s not your field, then consider what you need. The entry-level MacBook and Pro both start at $1,299. The entry-level Pro is more powerful and has a larger screen, so it could seem like a no brainer. However, it’s also larger and heavier, and if you travel a lot, may not be the ideal companion compared to the ultra compact and light MacBook. The further you extend your budget, the bigger the gulf between the MacBook and the Pro becomes. Go all the way to the top-end MacBook Pro, and you’ve got a massively powerful laptop that will do everything you want, and more, with the Touch Bar (not essential, but more than a gimmick) thrown in. You’ll also get a deliciously detailed 15-inch screen. Go for the top-end 12-inch MacBook, and you’ll get…a slightly better MacBook. Verdict: For any kind of design work, you’ll need the MacBook Pro. The 12-inch MacBook may be slimmer, but it won’t be powerful enough to keep up. The MacBook Pro range starts with a decent-spec laptop that will suit most users, to a power-packed head turner for those with a seriously generous budget. Realistically, you don’t need to plump for the top-end model unless you’re really looking to do some serious graphics work. The Touch Bar is an added feature on the top-end 13-inch model and both 15-inch Pros. It’s essentially a slim touchscreen that is “context sensitive”, and can be used for scrolling through photos or scrubbing through a video. Is it essential? No. Is it cool? Yeah, it is. Touch Bar models also enable Touch ID as a way to log into sites or pay for items. Again, its a nicety, not a necessity. 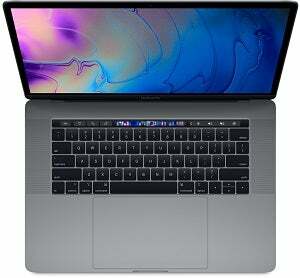 Average users will get away with the entry-level MacBook Pro, which may not have the 8th gen processor of the pricier models, but they won’t miss that if they’re simply surfing, streaming and working. Opt for a 15-inch model and you’ll get a beautiful 2880 x 1800 Retina screen and a Radeon graphics card. Both are perfect for designers. Although, with storage purely solid state drive (SSD) based, you might want to look into a decent external hard drive for all those large image files. Verdict: There’s no ‘bad’ MacBook Pro to choose, but only opt for the 15-inch Touch Bar models if the kind of work you do means you can really justify the expense. Otherwise, it’s power you may not need.